I am a new Linux and Unix system user. How do I find out the user and groups names and numeric IDs of the current user or any users on my server? How can I display and effective IDs on the system using command line options? 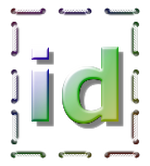 In Linux, how do I find a user’s UID or GID?